This was a steamer with an unusual V-4 engine, 2-speed transmission, and shaft drive, with a wooden Roi-des-Belges body. The price was $2,500. 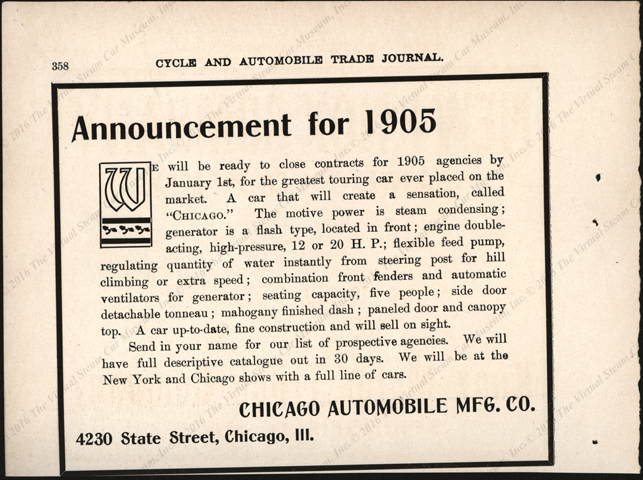 This advertisement for the 1905 season probably appeared in a late 1904 issue of Cycle and Automobile Trade Journal. on page 358. 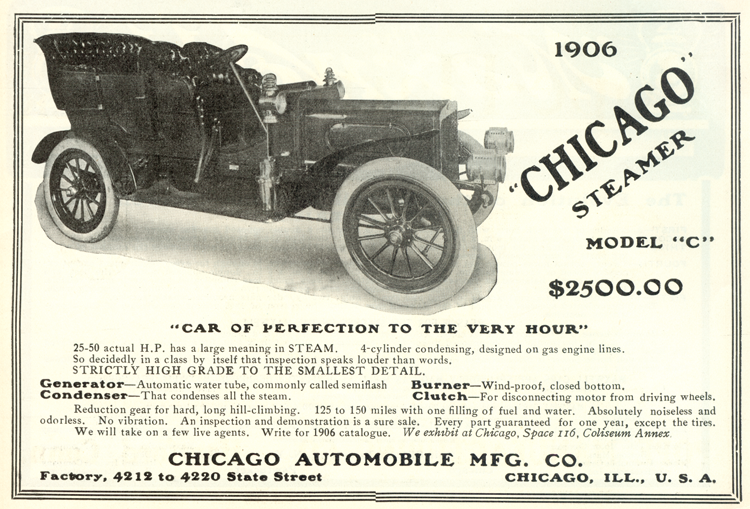 This advertisement appeared on February 1, 1906 in The Automobile. The break in the boarder is original. 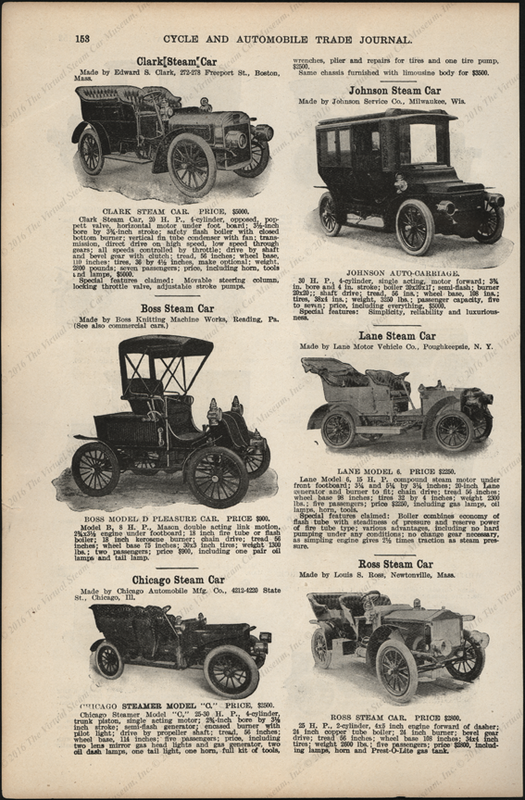 The Chicago Automobile Manufacturing Company was featured in a 1906 issue of Cyle and Automobile Trade Journal along with other steam cars, page 158. Georgano, G. N., Encyclopedia of American Automobile, (New York, E. P. Dutton & Co., 1968), p. 42.